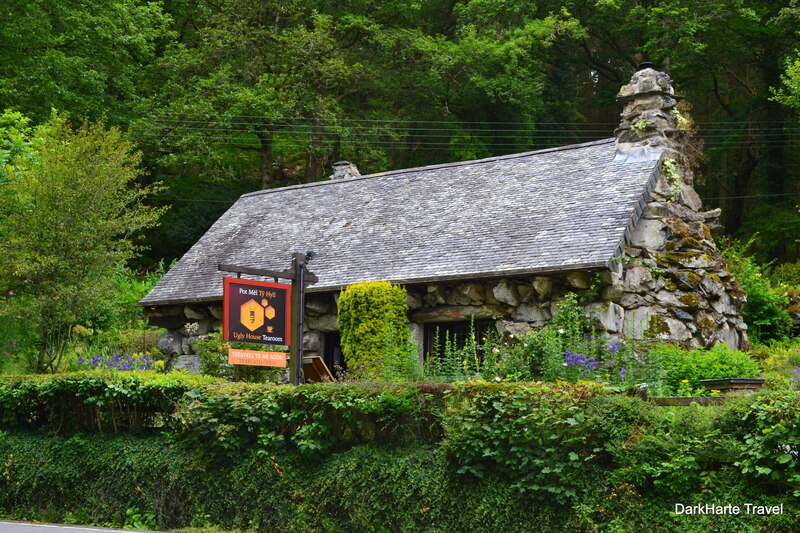 On a road through Snowdonia, a unique stone cottage sits on a sharp bend, among quiet trees. 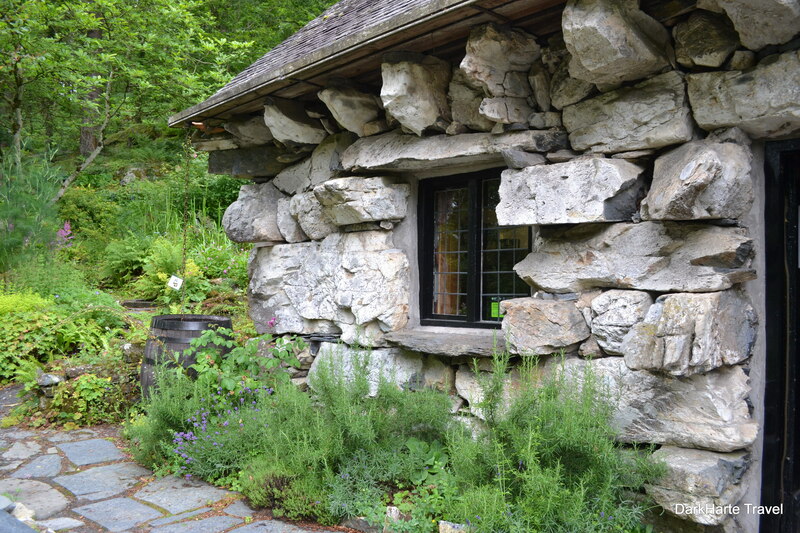 Just off the roadside, the cottage is made of stones so large they are almost boulder sized. It is known as the Ugly House, Tŷ Hyll. 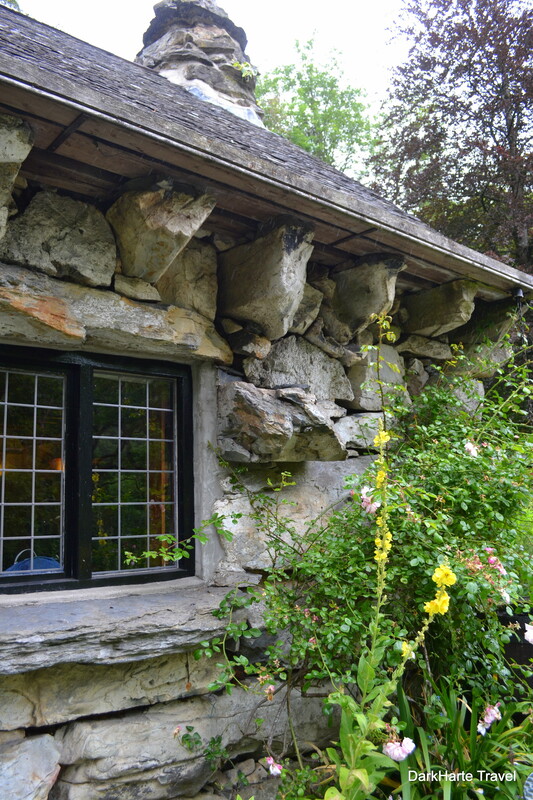 The cottage is constructed of massive blocks of rock. 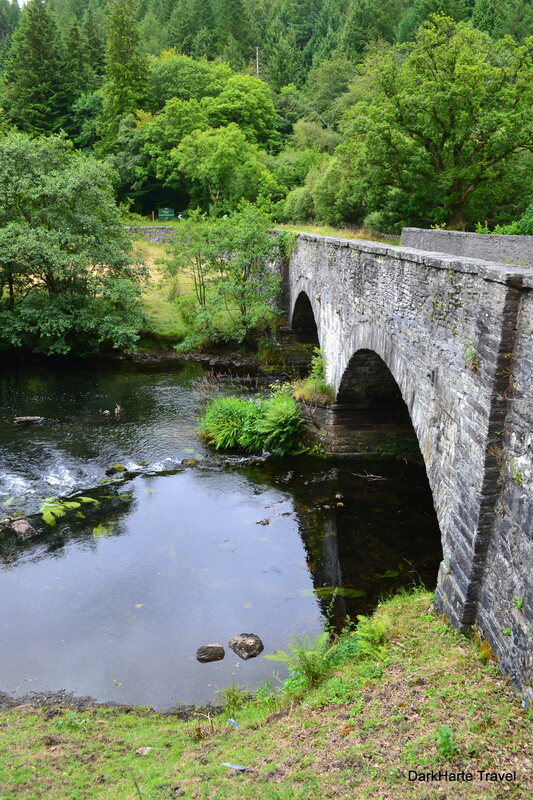 The Ugly House is situated near a bridge, which runs over the river and is surrounded by forest as the road snakes deeper south into the mountains of Snowdonia. 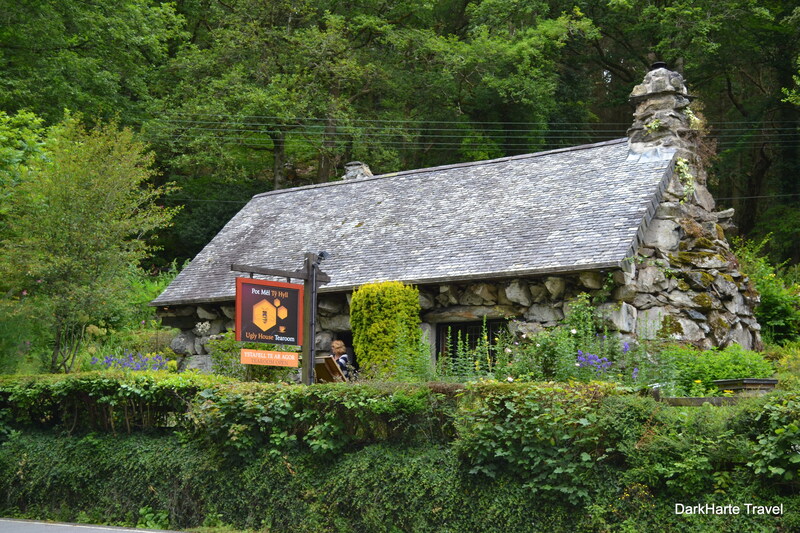 The Ugly House lies near Betws y Coed and makes a good stopping off point before visiting the scenic village. The Ugly House is set on a bend in the main road. Inside, the Ugly House is an interesting nest of intricate rooms. 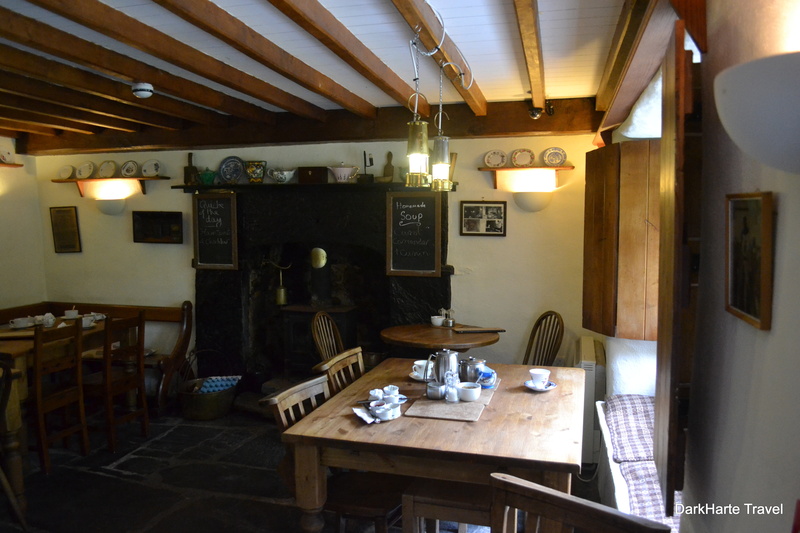 The main room has been dedicated to a tea and cake shop, where you can eat wonderful scones with jam and cream, or Welsh classics like Bara Brith. I visited it while on a trip to North Wales. 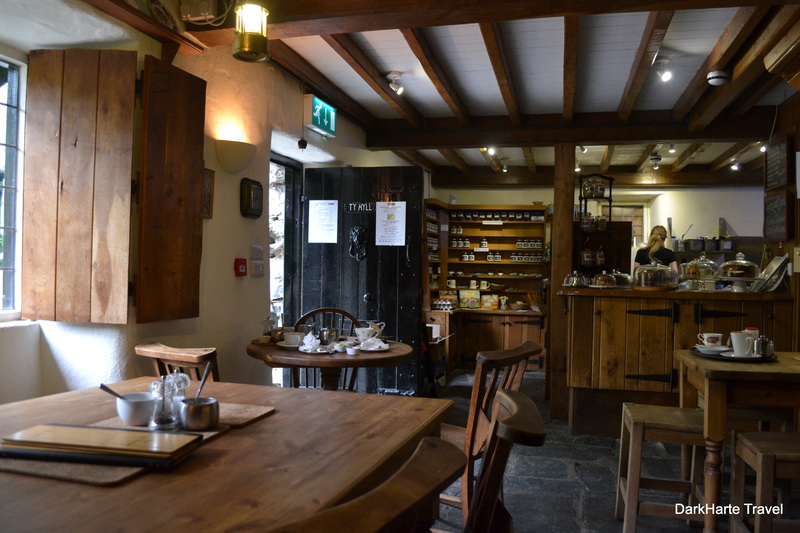 We stopped off for afternoon tea at the Ugly House on the way to the slate mines and underground lake at Llechwedd. Far from being ugly, the cottage is quaint, unique and charming. 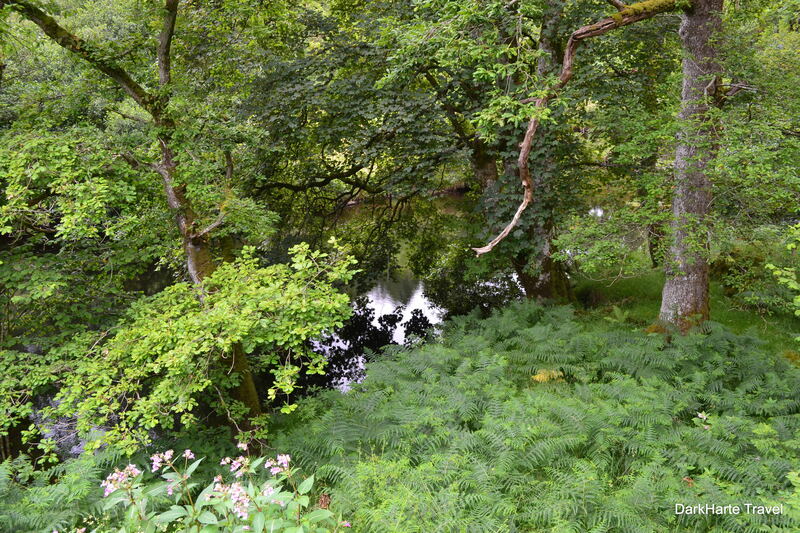 The ‘ugly’ in its name may be a corruption of the name of the river flowing just below the Ugly House, the River Llugwy. 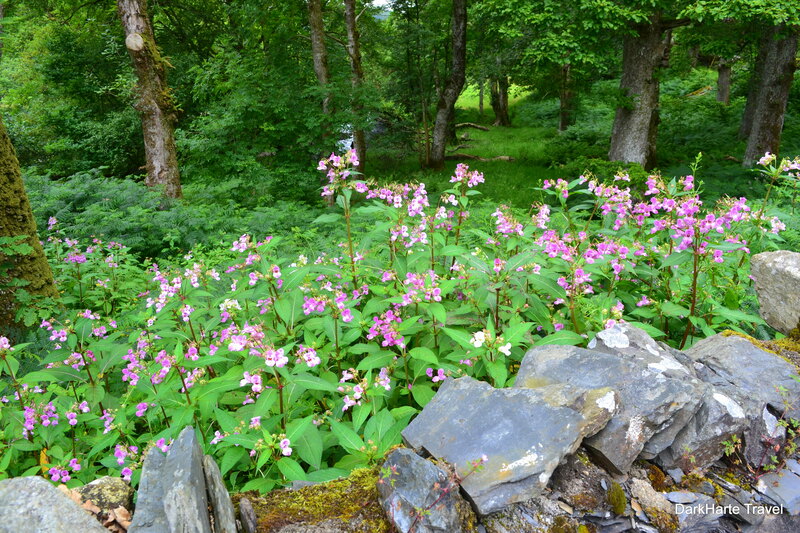 The word ‘hyll’ in Welsh means ugly, but it can also mean rough or crude – so could refer to the boulders used to construct the cottage. ‘Tŷ’ is Welsh for ‘house’. The origins of the Ugly House are unknown: nobody knows when it was built, or who by. 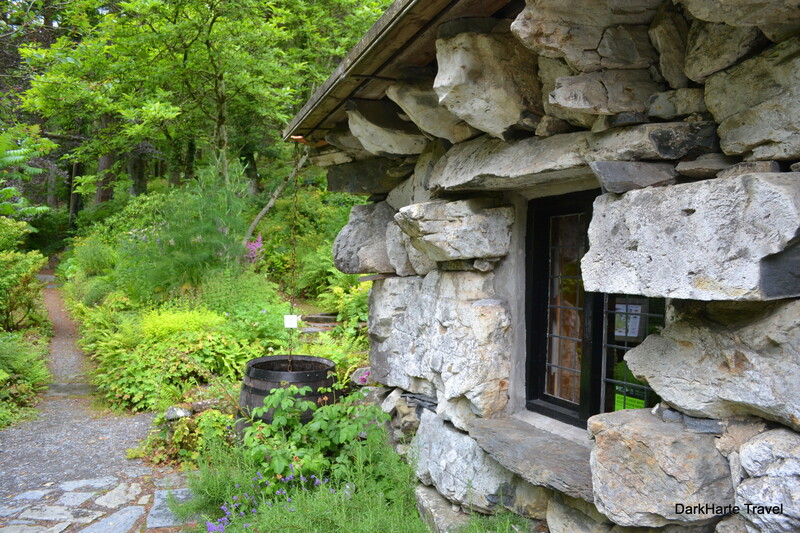 Legends surround its conception, such as that it was built by giants, or constructed hurriedly in a single day – both of which explain the choice of using such massive stones in building the cottage. One of the mysteries surrounding its origin is the legend that the Ugly House was built in a single night by two outlaw brothers in the 15th century, as a ‘Tŷ Un Nos’ or ‘house built overnight’. According to an ancient law in the area, if you built a house between sunset and sunrise, complete with walls, a roof and a smoking chimney, you were then allowed to claim the house and its land as your own. The first person known to have lived in Tŷ Hyll was a shepherd in 1900. His name was John Roberts, and at the time he lived in the cottage, the accommodation would have been basic. There would have been a single living room with a large fireplace, and a ladder up to a sleeping loft under the roof. The Riley family lived in the Ugly House from 1928 to 1961. 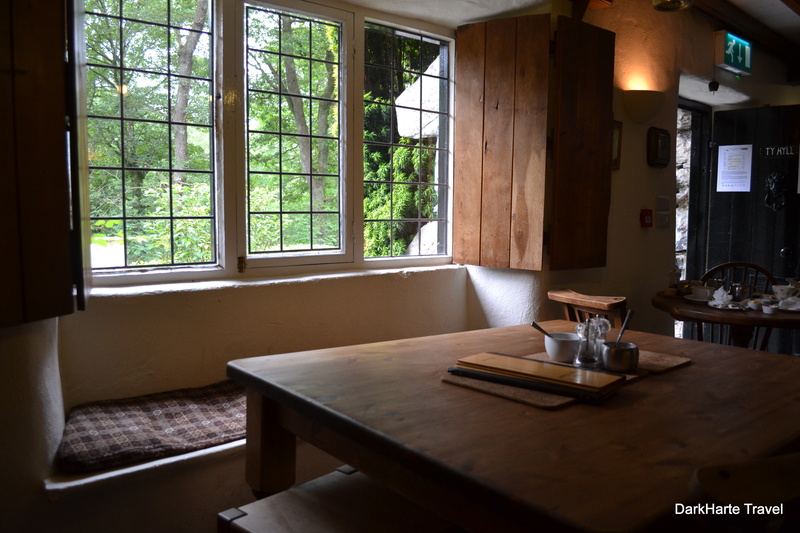 Edward and his wife Lilian improved the cottage by constructing a proper upstairs with bedrooms, and a separate parlour and scullery downstairs. Edward Riley worked as a groom at a nearby hotel, and the couple welcomed visitors into their home, entertaining them with tales and their pet cockatoo. After the Rileys died in the early 1960s, the Ugly House was used as an antique shop and a tea shop, but it was empty and decaying by the 1980s. 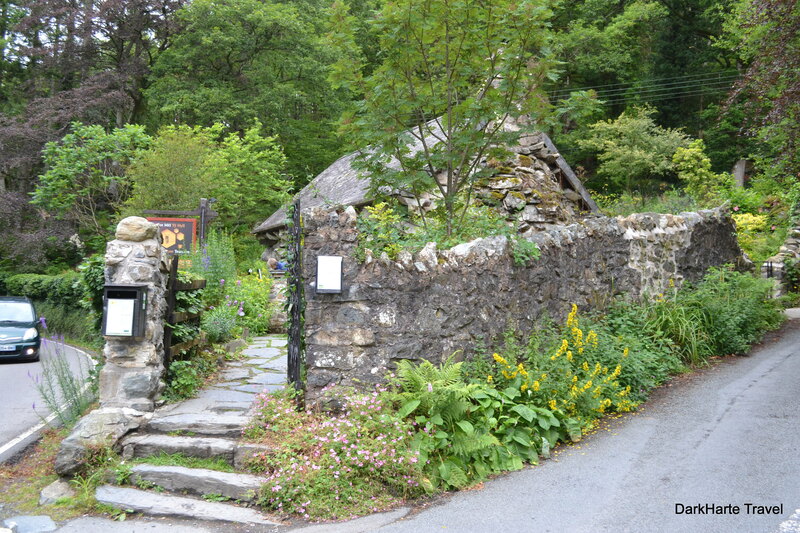 Since 1988 it has been taken care of by the Snowdonia Society, a small charity that preserves the Ugly House as a unique visitor attraction and a little piece of Snowdonia’s human history. 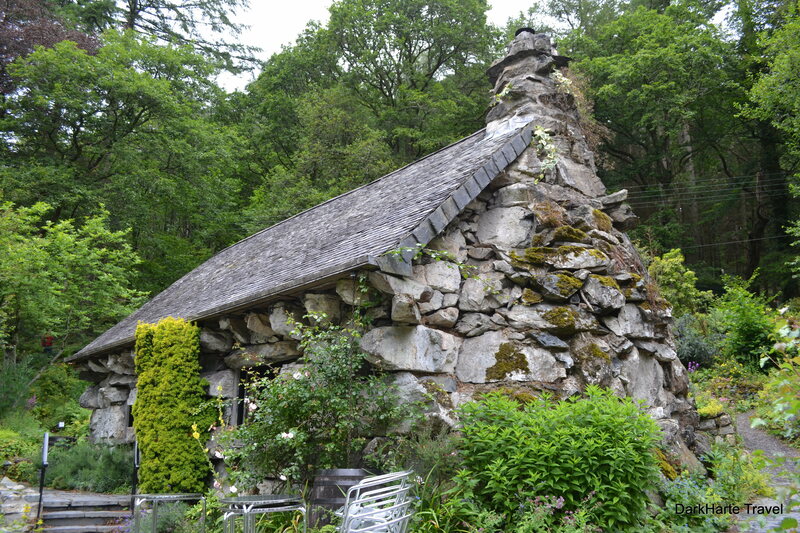 The Ugly House is a rewarding and interesting respite stop if you’re passing by on your way to Betws y Coed or the mountains. Amazing to see! I must have driven past this dozens of times. Always thought it was very appealing but never knew you could actually visit it! I’m really glad you enjoyed the post and that it meant you got to see inside! It is quite tricky the Ugly House being positioned on that corner as well – you don’t get much time to look properly if you’re driving. You’ll know for next time you’re passing by; it doesn’t take long to visit and could be a nice stop for lunch. Am enjoying your posts, especially this one, the Ugly House. Haven’t been to Europe yet but will…..have to! One day. And Ty Hyll will be on the itinerary. Thank you. Thanks so much for your comment Winnie, and for visiting my site. I’m glad you’re enjoying the posts! 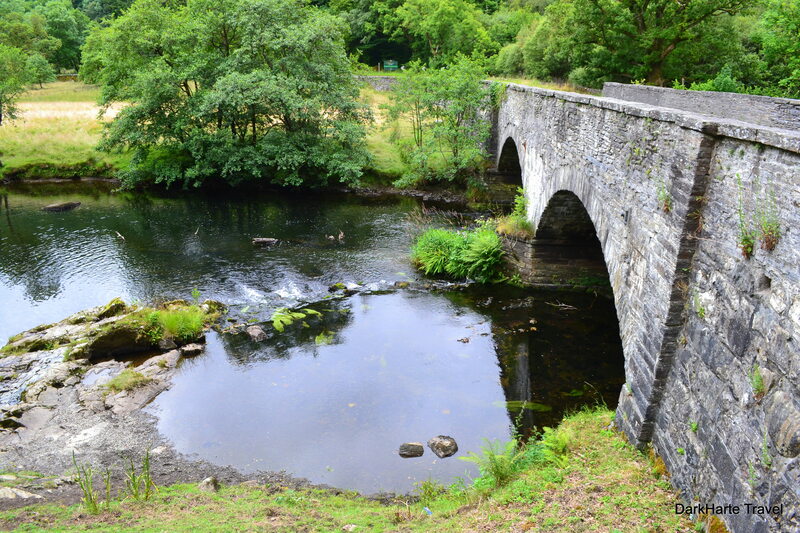 I hope you get to visit Europe some day soon, and yes definitely – heading for Snowdonia in general is a great idea. Just aim for the summertime if you can!